Unlock the unique advantages of owning a swimming pool. Whether you are interested in an in-ground, above ground or premium pool, we have you covered. Experience the amusement and health benefits a new pool can bring you. A relaxing trip to the spa can easily be achieved in your own home with the use of a personal sauna. This luxurious addition can help reduce stress and soothe sore muscles while maintaining many more benefits. Find the perfect sauna to help you relax. Spa owners are no strangers to the therapeutic benefits that can be achieved with the installation of a personal hot tub. With the ability to promote healing while reducing stress and pain levels, the addition of a spa can greatly improve your health. See how a spa or swim spa can help achieve your fitness goals and optimal states of well-being. Swim Spa owners are no strangers to the therapeutic benefits that can be achieved with the installation of a personal hot tub. With the ability to promote healing while reducing stress and pain levels, the addition of a spa can greatly improve your health. 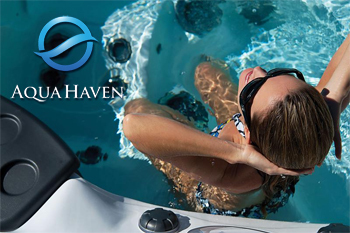 See how a swim spa can help achieve your fitness goals and optimal states of well-being. Contrary to popular belief, you don’t have to go to a massage therapist to receive an incredible full body massage. Modern massage chairs utilize the latest technological advancements to help relieve tense muscles and help you recover and relax. Experience the bliss of owning your own massage chair.